Cape Town – At 2013 production levels, South Africa's resources are being depleted at a steady rate, but for gold not so. Statistics South Africa (Stats SA) said in its Environmental Economic Accounts Compendium 2013 output levels show SA will exhaust its proven platinum reserves in 239 years, coal in 118 years, and gold in 38 years. 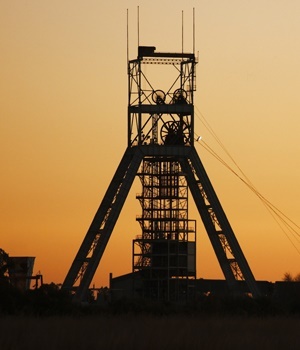 A closer look at the rapidly decreasing importance of gold mining in SA shows gold production has come down by 57% for the period between 2003 and 2013. The number of employees in the industry has been reduced by a third within the same period. According to the June 2016 Quarterly Employment Statistics (QES) survey, the mining industry’s employment levels continued to decline in the second quarter. This is the “eighth consecutive decline since the fourth quarter of 2014,” the report stated. Compared to the same quarter last year, 32 000 jobs were shed in the mining industry. Previously, Fin24 reported that September mining production expanded 3.4% year-on-year (y/y). But the gold sector has been going through a slump, with gold contracting 7% (y/y) in September. As far back as 2003, gold production was at 373 tons and slowly dwindled to 160 tons produced in 2013. Similarly employment levels declined from 198 465 in 2003 to 131 591 in 2013. Conversely, coal production picked up in the same period. Production levels were at 238 tons in 2003, and increased by 7.5% to 256 tons in 2013. Employment levels rose from 47 239 in 2003 by 46% to 87 768. Platinum production has been volatile over the period. Production in 2003 was at 265 tons and in 2013 it was 264 tons. Employment levels rose by 49% from 127 672 to 191 261 by 2013. According to the graph, production peaked at 309 tons in 2006. It came down to 271 tons in 2009, following the global financial crisis. It recovered to 289 tons in 2011 and then fell again after the peak of the commodity super cycle. Further, the report indicated total gross earnings paid to employees across these sectors increased to R523bn in June 2016. This is an increase by R30m compared to the previous quarter.